As we settle back into our design jobs after the holidays it’s a great time to think about investing in some new tools to prepare for the creative challenges we might face this year. The artistic design trend looks like it’s going to be even bigger in 2016, so you might want to experiment with these styles yourself. Traditionally painted art and hand-drawn elements take time and skill to produce manually, but the new Digital Designer’s Artistic Toolkit from Design Cuts gives you the opportunity to source 26 best-selling products for creating realistic artistic effects for just $29, that’s 93% off the original value. With these items in your toolkit it has never been easier to create authentic painted effects without even needing to wash a single paintbrush! The resources within the Digital Designer’s Artistic Toolkit have been lovingly crafted and meticulously prepared by top designers to save the end user stacks of time. They’ve put in the hard work and invested hours into creating their products to give us a large selection of ready-made graphics to use in our designs. This might be expertly hand painted watercolour graphics, intricate hand drawn illustrations, or simple but useful scans of brush strokes and paint textures. 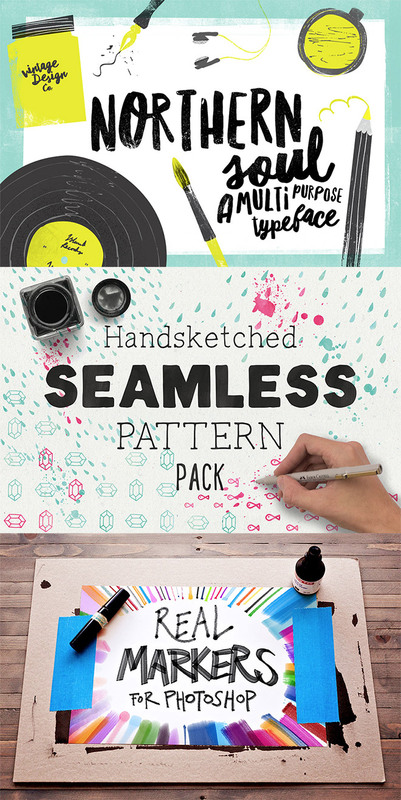 Each product in this bundle focuses on helping you achieve a specific style. There’s simple effects like marker and ink effects, alongside more complex kits that transform your work with deep manipulations. Whenever you come across a project that requires some kind of artistic effect, you know exactly where to go in your designers’s toolkit to produce the look you need. 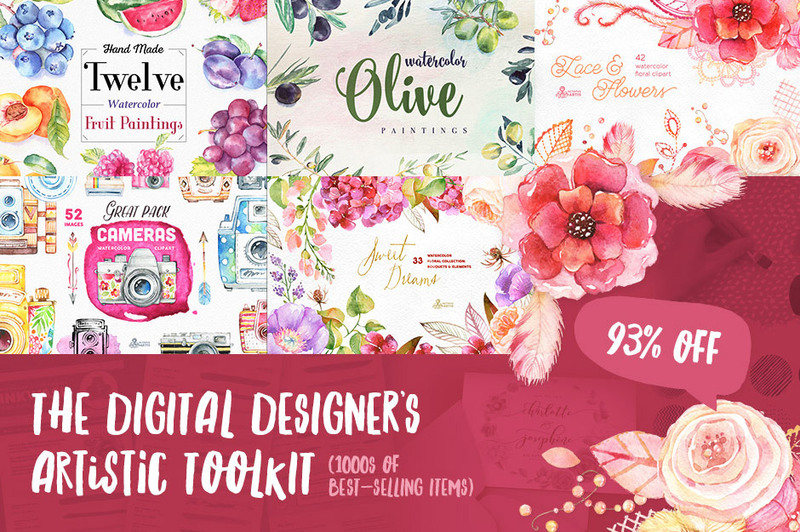 The Digital Designer’s Artistic Toolkit is a bundle of $403 worth of best selling premium design resources reduced in price by 93%, making the price just $29 for a limited time only. Extended Licensing is also included for every single product, which is a big deal for these kinds of resources. 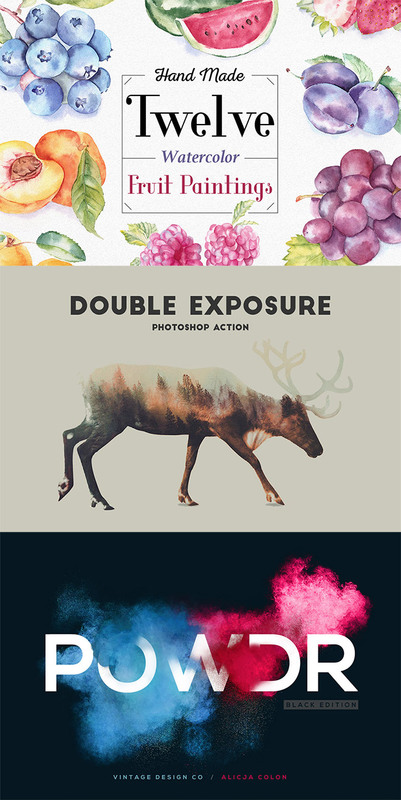 This means you can use the effects within designs you intend to sell, as well as within your everyday commercial work. This deal won’t be around for long, but the resources it contains are valuable items to have in your collection for when you most need them. Make the most of this exceptional discount and add these best selling items to your arsenal to prepare yourself for an extra creative year!